School is out now for Sam, and whether it’s official on the calendar yet or not, our summer has started! Which means, Sam will have friends over a lot of the time…and teenagers like to eat! So I’ve started our summer off with some favorites I know the guys and I will love! Skillet Steaks : I enjoy a grilled steak so much, but there’s just something magical about this steak seared in a hot skillet! I like to season mine several hours before I’ll be cooking it to heighten the flavor of the steak. 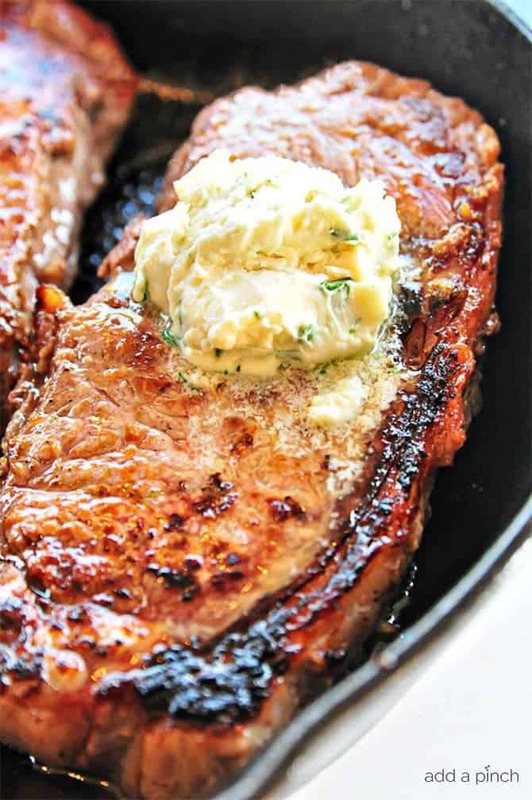 Gorgonzola Herb Butter: I make this ahead and store it in the fridge until ready to top these hot, sizzling steaks. Please don’t skip this herbed butter – it’s an amazing final touch! 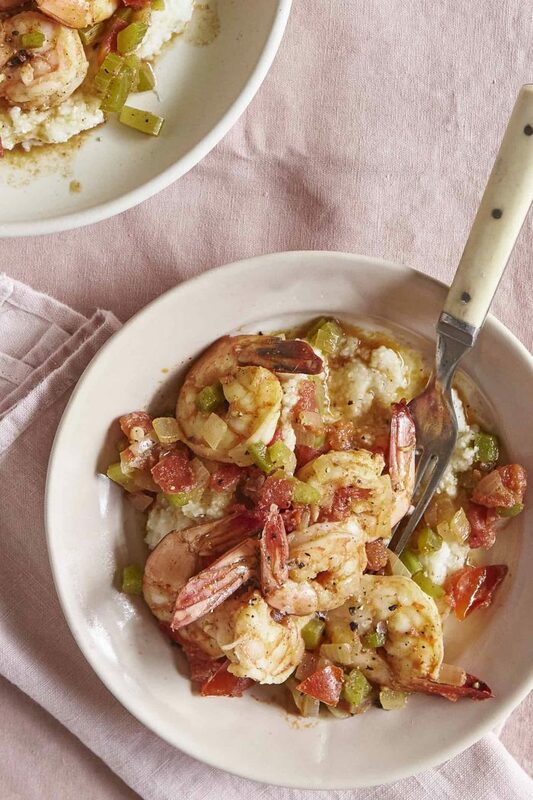 Creole Shrimp and Grits: This is a definite go-to recipe in the cookbook! I’ve already prepped all of the veggies for this dish and will use the slow cooker method for my grits. 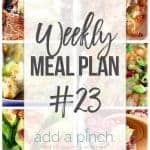 It is a family favorite dish I think you’ll enjoy too! 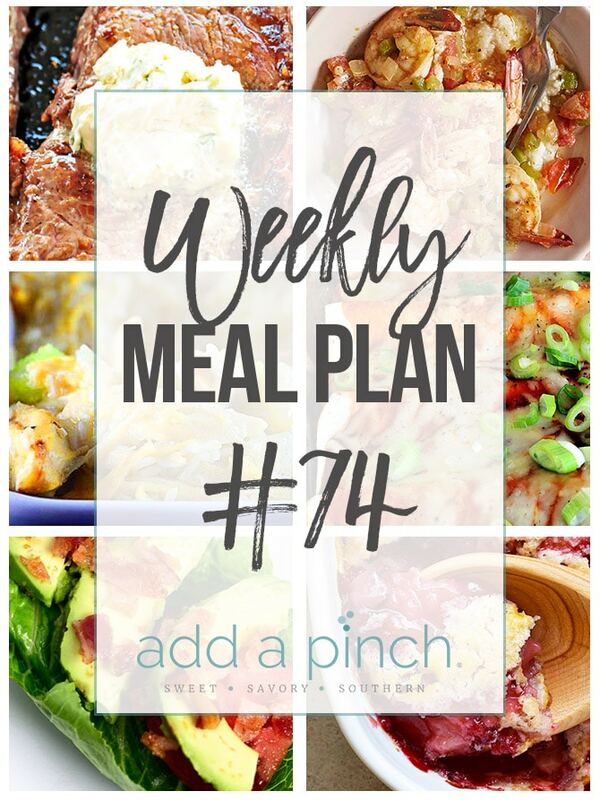 We will enjoy leftovers from the weekend meals for supper tonight! 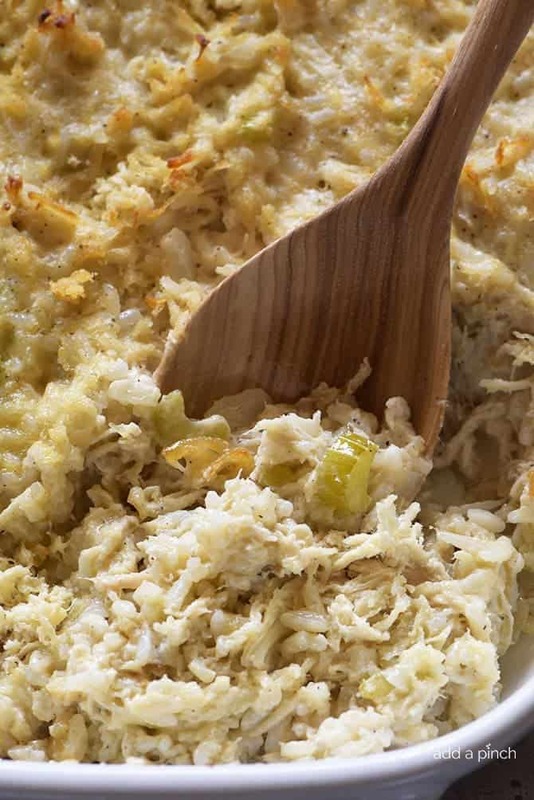 Chicken and Rice Casserole: This favorite comfort meal is so easy and delicious! 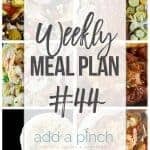 It’s one of those meals that is so easy to make ahead and freeze for later, or keep in the refrigerator for a couple of days. 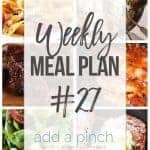 If you make it the day you’re going to eat it for supper, it’s so simple too – just cook the chicken in the slow cooker, then prepare the casserole to pop in the oven for supper. 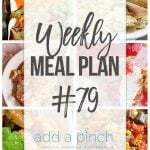 For my meal plan this week, I’m planning to cook plenty of chicken in the slow cooker to use the next night as well for my Chicken Enchiladas. 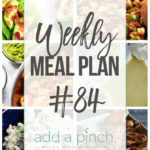 Oven Roasted Asparagus: Prep the asparagus ahead by washing and trimming the ends so that you’re ready to pop this in the oven! Georgia Peach Crisp: This is such a scrumptious – and simple – recipe from my cookbook! It comes together so quickly. I froze fresh peaches last summer that I’ll pull out of the freezer the night before to thaw in the refrigerator until time to make this. Serve it with a dollop – or two – of vanilla ice cream if you wish. And I wish! ???? Chicken Enchiladas: Supper is so much easier tonight since I’ve cooked my chicken ahead. 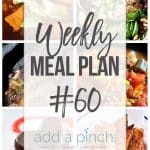 I also keep my homemade Enchilada Sauce on hand that I’ll use in these. 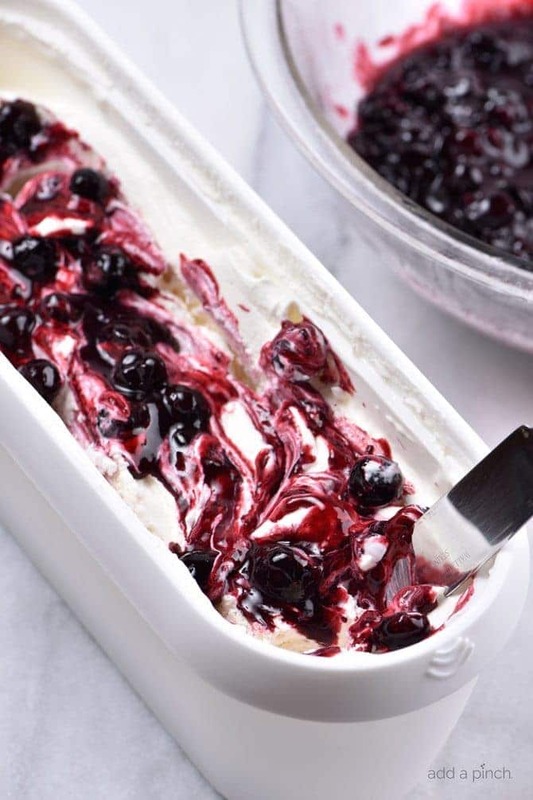 Blueberry Cheesecake Ice Cream: I’ve got both churn and no-churn instructions in this recipe – and both are equally amazing! Prepare the blueberries ahead of time during the day or the day before and put in the refrigerator to set until time to add them to the ice cream if you are making the ice cream close to serving time. You can make your ice cream ahead of time too if you wish. 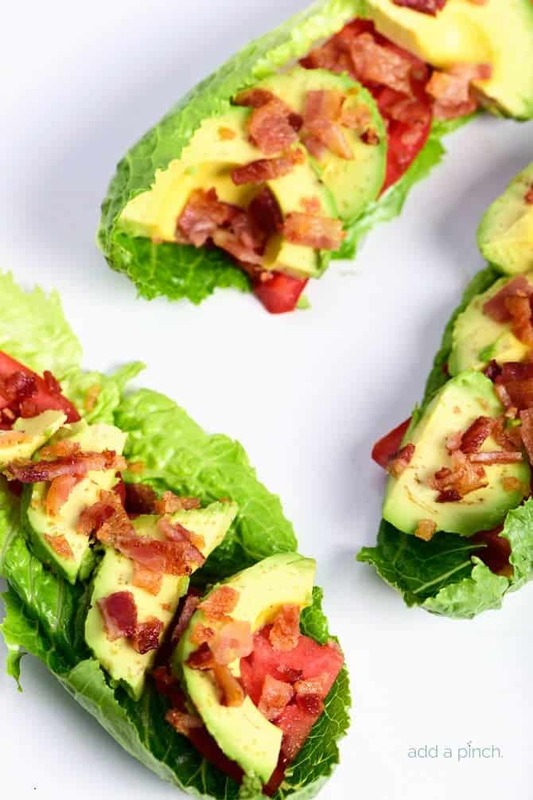 BLT Avocado Lettuce Wraps: Another quick and delicious weeknight favorite that comes together quickly!